A critical step in Verso Paper’s proposed acquisition of rival NewPage Holdings — a deal that would create a paper industry giant employing more than 2,200 workers at three Maine paper mills — “appears likely” to succeed before a deadline of midnight Wednesday. 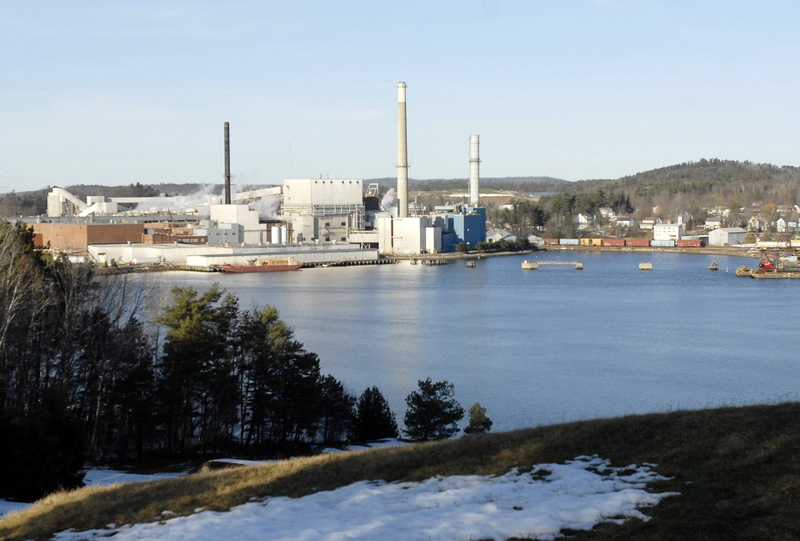 The $1.4 billion deal, which was first announced in January, would combine Verso Paper and its three paper mills, including two in Maine in Bucksport and Jay, with NewPage’s eight paper mills, including one in Rumford. The new company would continue to operate under the Verso name and control more than half the North American market for the glossy paper used in magazines and retail catalogs. If the deal closes, the new Verso would employ roughly 2,230 workers in Maine, roughly a third of all paper industry workers in the state. Staff Photo by Shawn Patrick Ouellette: Verso Paper Bucksport Mill in Bucksport Thursday January 10, 2008. As a condition of the merger, Verso agreed to begin a debt restructuring plan. The company is highly leveraged with $1.2 billion in debt, according to Verso’s 2013 annual report. Since January, the company has been trying to convince its debt holders to exchange their notes for new notes with different terms. Early attempts to sway debt holders were unsuccessful, creating uncertainty over whether the merger would be successful. But Verso sweetened the deal last week with a higher offer and the debt exchange now “appears likely,” according to a statement published Friday by Brian Bogart, an industry analyst at KDP Investment Advisors in Montpelier, Vt. The deadline for Verso’s debt holders to agree to the exchange offer is midnight on July 30. “In our view, completion of the tender offers … is the biggest hurdle to consummating the merger of Verso with NewPage Holdings, which would result in a larger and financially stronger company compared to Verso’s strained financial condition,” Bogart wrote. Dave Patterson, Verso’s CEO, has said that the merger would create $175 million in savings within 18 months of the merger. Both companies have struggled as the demand for their coated paper drops due to increasing use of electronic devices and international competition. In 2011, NewPage filed for bankruptcy, emerging a year later. Verso’s board approved the proposed acquisition because it expects the merged company “to be better positioned to compete on a global scale, to effectively leverage NewPage’s existing customer base and geographical reach to withstand competition,” according to the deal’s proxy statement. Verso also needs to receive regulatory approval for the deal because of antitrust concerns. If the two companies merge, the resulting company would control more than 50 percent of the North American coated paper market. However, those antitrust concerns will not necessarily be a deal breaker, according to a review of five antitrust experts conducted by Reuters. Of the five antitrust experts contacted by Reuters, three said the deal could be approved if Verso agrees to some strategic divestitures, while one said antitrust approval would be an “uphill battle” and another said it could go either way. Verso Paper is based in Memphis, Tennessee, and is majority owned by Apollo Global Management in New York City. It produces 930,000 tons of pulp annually and 1.5 million tons of coated paper and has 2,200 employees nationally, including 1,400 in Maine. NewPage, which is based in Miamisburg, Ohio, and majority owned by Los Angeles-based Oaktree Capital Management, produces about 3.5 million tons of coated paper a year and specialty paper used in beverage bottle labels and food packaging. NewPage employs approximately 5,200 people, 830 of whom work at its Rumford mill.